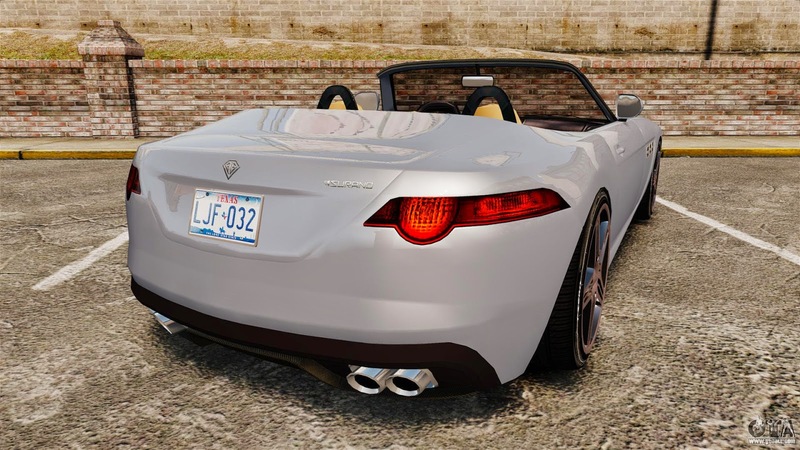 In GTA 5, the Comet has been updated featuring rear quarter ducts as well as a standard rear deck spoiler. It now resembles a Porsche 996 GT2 with minor influences from Porsche 996 GT3. The Comet in GTA 5 is quite similar to the Comet in GTA IV. 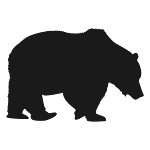 The top speed and acceleration have been changed, however, and the most notable difference is that the GTA 5 version is rear-wheel drive, as opposed to a relatively uncommon all-wheel drive drivetrain in GTA IV. 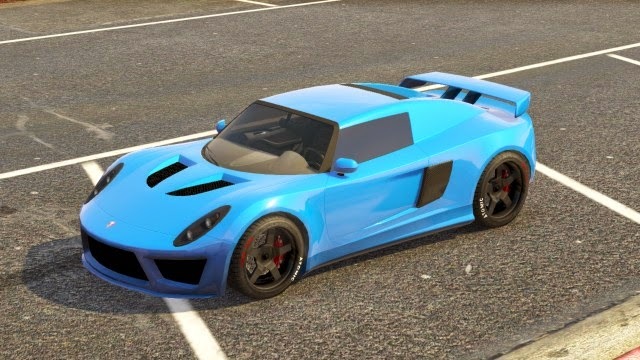 This car is inspired by the Tesla Roadster and Lotus Elise with styling from the Hennessey Venom GT. As such it features a low front end with a fairly tall front face, featuring three bumper grilles; the central grille spanning two thirds of the bumper width and then a smaller one either side. The headlights are totally ovular, which somehow resembles Rinspeed sQuba, an amphibious car based on Lotus Elise. The manufacturer emblem is located right in front of the bonnet/hood, in the centre. The bonnet/hood features two large, curved-edge intakes placed in the middle. The Voltic is a very fast car, with incredibly quick and responsive acceleration, and an excellent top speed. Since it is an electric vehicle, the Voltic has a specially-tuned single-speed transmission which directly drives the rear wheels. 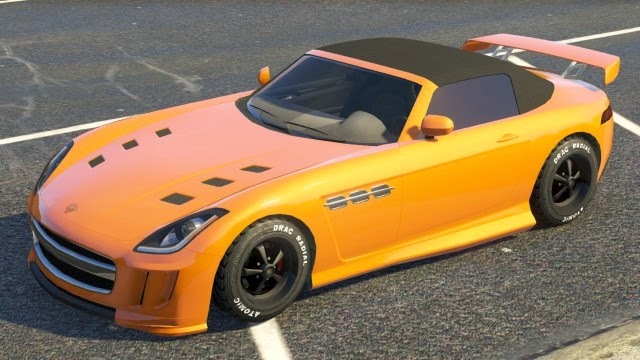 The main body of the roadster,is inspired by the Mercedes-Benz SLS AMG Roadster.he Surano uses a supercharged 6.5L V12 which powers the high, which gives the car a great acceleration and impressive top speed of 208 mph. However, this car would be difficult to control. Despite being one of the best cars in its class, many players may prefer 9F/9F cabrio because better performance. The front bumper, grille, tail lights, headlamps, air intakes, rear bumper and exhaust pipes are derived from the Jaguar F-Type. 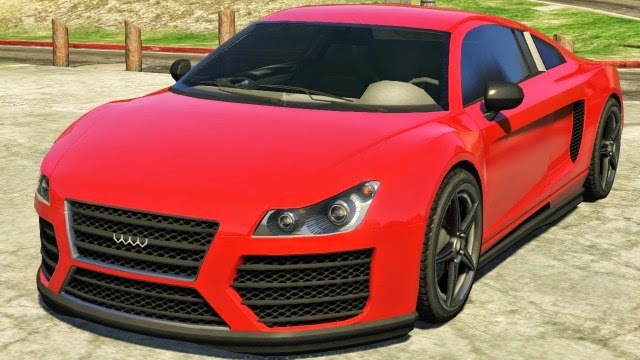 The Obey 9F is a two-door sports car in GTA 5 and GTA Online, offered in coupé and roadster form (the latter named the 9F Cabrio). This supercar’s design is similar to the Audi R8 Coupé for the coupé form and Audi R8 Spyder for the roadster form. It features a sleek aerodynamic body typical to supercars. 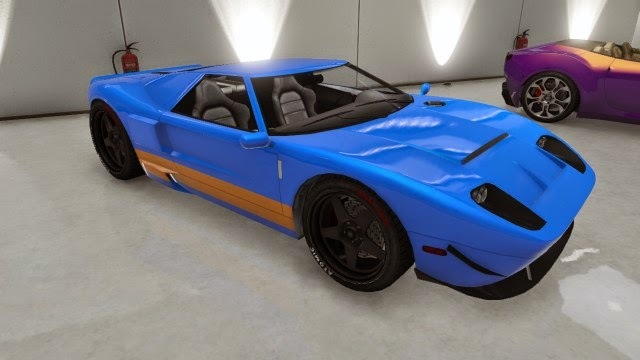 The Infernus in GTA 5 appears to be unchanged from GTA IV except for the rim and interior design. The rims on the Infernus match the rims used on the Lamborghini Reventón, a limited production car based on the Murciélago. It also has a new, red interior. 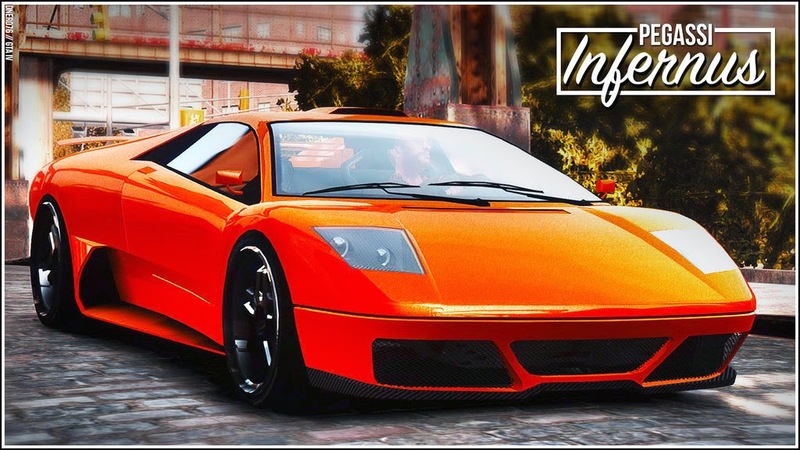 Unlike the GTA IV version, the Infernus can be modified with some parts such as the rear wing and exhausts. 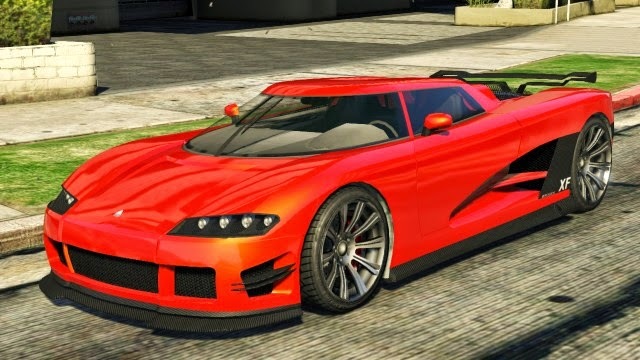 The Cheetah is reintroduced in GTA 5. 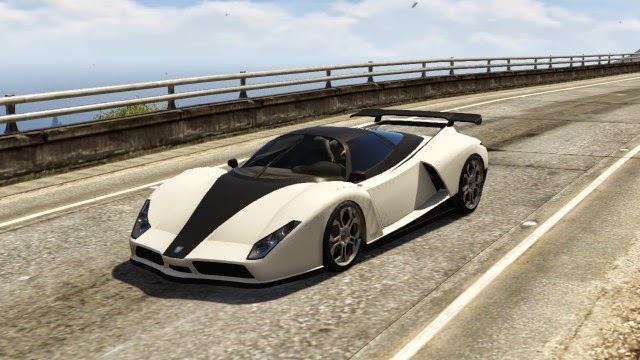 Unlike in previous games, the Cheetah is now based on the Ferrari Enzo with the front of the Enzo, Ferrari FXX, the Pagani Zonda and the SSC Tuatara. It also has a body of a Ferrari Enzo or FXX. It has the rear of a GTA Spano. The rear hood is inspired by the Mercedes CLK GTR as both of them have big engines and rear hoods. The Carbon Fibre stripe on the bonnet resembles that of the Pagani Zonda Tricolore. It can be bought for $650,000 from Legendarymotorsport.net. It is stated to be a 1970s prototype, put out by Grotti for limited production, and has a top speed of 220 mph. The Bullet's shape closely resembles a Ford GT. 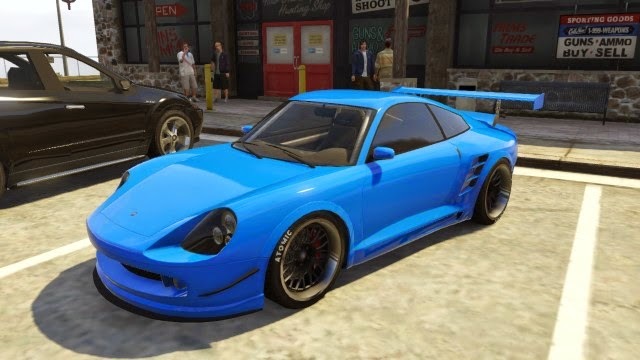 The Bullet GT also makes an appearance in GTA 5, however it is simply called the Bullet, lacking its "GT" nomenclature. It's possible that they are two different models, however bar the slight name difference, they are virtually identical in performance and aesthetics except for the rims. The car's design appears to be heavily influenced by the Swedish styling of theKoenigsegg Agera. The logo on the bonnet/hood is similar to that of the Maserati with white and blue details and has the size and shape of the Koenigsegg's. The taillamps are nearly identical to those of the Koenigsegg Agera, the inside of the taillamps are also identical to those of the Lamborghini Aventador. The rear hood of the vehicle is adopted from the Porsche Carrera GT.The car is able to reach a very high top speed of 240 mph. 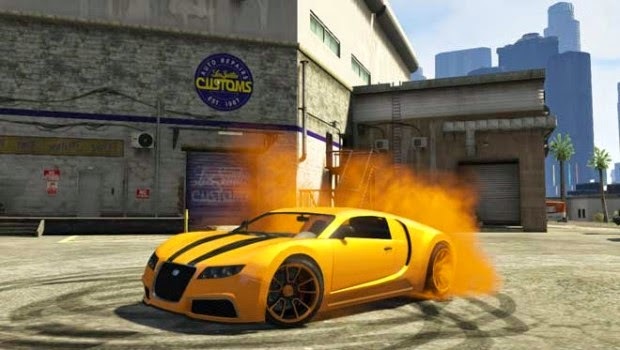 As befitting the car's real life counterpart, the Adder has the highest top speed of any car in the game. Although it is capable of reaching blinding velocities but features under average handling. Despite its unparalleled top speed, its acceleration is below average, and most other super cars have faster acceleration. However, the car's four-wheel drive layout helps it jolt forward quickly.